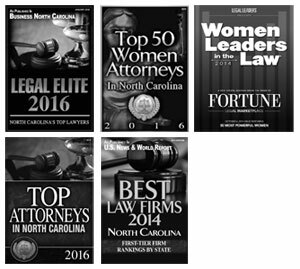 At Close Family Law, we ensure that our clients are well-represented, and one way we do this is to stay abreast of the latest North Carolina cases involving family law issues such as alimony (i.e., spousal support), child custody, child support, and equitable distribution (i.e., property and debt division), to name a few. We also know that our clients like to be well-informed and are interested in the current state of the law as it pertains to their case. That is why we are starting a regular series devoted to educating our clients on the latest and most interesting Court of Appeals decisions. For the first of our series, read on to gain some insight into what can happen when a divorced couple remarries. 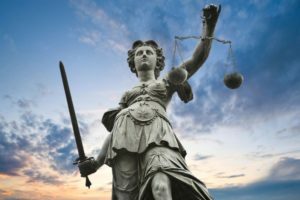 In a recent case, Farquhar v. Farquhar, the Court of Appeals upheld the dismissal by the trial court of a wife’s claims for equitable distribution and alimony. In this case, Husband and Wife were married for ten years and then separated in 2003. After separation, Wife filed an action for, among other things, equitable distribution and alimony. Husband later filed his answer and asserted his own counterclaim for equitable distribution. On April 23, 2004, based on the parties having lived apart for more than one year with the intent to end their marriage, the court entered a judgment granting the parties an “absolute divorce.” At the time, the parties’ outstanding claims for equitable distribution and alimony were still pending and had not yet been resolved. Approximately one year later, in May 2005, the parties decided to remarry. Because the parties’ respective claims against one another were still pending after they remarried, Husband and Wife filed joint voluntary dismissals of all pending claims on August 26, 2005. The parties remained married for ten more years, but then separated again in April 2015. After this second separation, Wife filed a complaint for equitable distribution, alimony and attorney’s fees related to their first 10-year marriage. In response, Husband filed a motion to dismiss Wife’s claims for equitable distribution and alimony relating to their first marriage. The trial court ruled in favor of Husband, stating it did not have subject matter jurisdiction over these claims. The North Carolina Court of Appeals agreed. Why Was Wife Barred from Bringing Her Claims Related to the Parties’ First Marriage? In North Carolina, a spouse cannot bring a claim for equitable distribution or alimony after a divorce judgment is entered. He or she must properly preserve the claim(s) by filing a complaint or counterclaim for equitable distribution and/or alimony before the date that a judgment for absolute divorce is entered. Here, Wife properly preserved her claims for equitable distribution and alimony from the first marriage by filing them prior to the date the divorce judgment was entered. However, she later voluntarily dismissed those claims in accordance with Rule 41(a) after she remarried Husband. Rule 41(a) allows a plaintiff to refile a claim that he or she voluntarily dismissed as long as the plaintiff refiles the claim within a year of voluntary dismissal. In a previous case, Stegall v. Stegall, the North Carolina Supreme Court held that, if a claim for equitable distribution and/or alimony was properly preserved before a judgment for absolute divorce was entered, a plaintiff could voluntarily dismiss the claim(s) under Rule 41(a) after the judgment was entered and refile the claims within a year of dismissal. In this case, Wife had until August 26, 2006 to refile her claims for equitable distribution and alimony, but failed to do so. Wife tried to argue that her second marriage to the same husband “tolled” the time for her to refile her claims because she couldn’t file them while she was married to him again. The North Carolina Court of Appeals disagreed and affirmed the trial court’s decision to dismiss her claims related to the first marriage. While it is uncommon for divorced couples to remarry one another, it can happen. More common is the scenario where a couple that has separated decides to reconcile before obtaining an absolute divorce. In both situations, legal rights to property and financial support can be affected. In the Farquhar case, Wife’s right to alimony was impacted because her only valid alimony claim was based on a ten, rather than a twenty-year marriage. Length of the marriage is a significant factor that the court considers in determining the duration of an alimony award. And while equitable distribution is likely more complicated in this case, it is safe to say that Wife’s right to receive a fair distribution of the property acquired by the parties during the first marriage may be very limited, especially if many of the assets were titled solely in Husband’s name (e.g., retirement accounts). If you are contemplating reconciliation or remarriage, but wish to preserve your legal rights, you should contact our office to speak with one of our knowledgeable family law attorneys today.